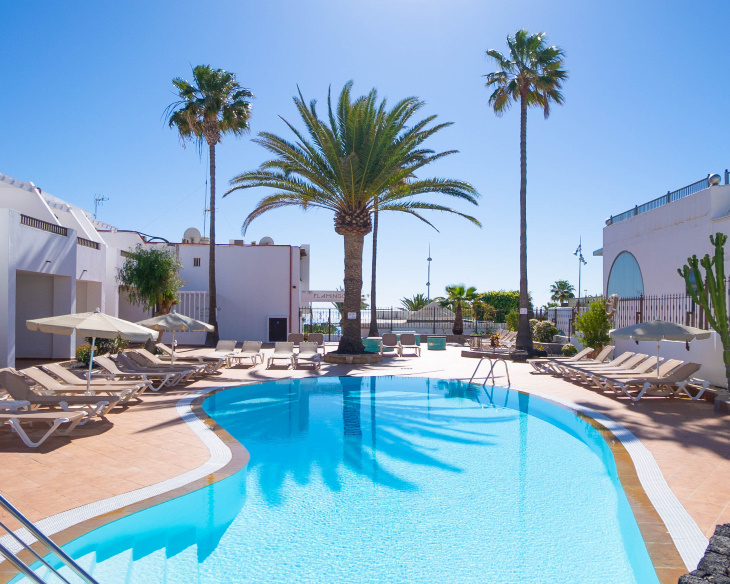 FAYNA & FLAMINGO Apartments | OFFICIAL WEB | Lanzarote, Puerto del Carmen. Offer valid for loyal customers who book 21 or more nights of stay. No deposit when booking, the total amount must be paid at reception on arrival. Offer valid for loyal customers. No charge deposit when booking, the total amount must pay at reception on arrival. 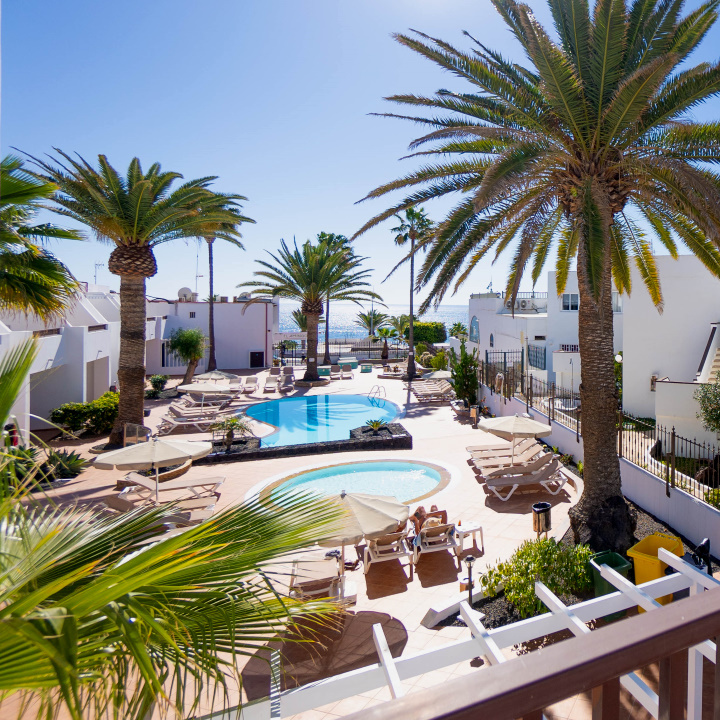 Fayna & Flamingo apartments in Lanzarote is a small complex of tourist apartments in the town of Puerto del Carmen. Our complex is located in the center of the beach "Playa Grande". Our guests appreciate of your stay in our establishment, the location in the center of Avenue de las Playas, allowing them to access a short walk from all the range of shops, bars , restaurants, clothing stores, supermarkets, etc. and only 15 minutes from the airport. Our establishment has 56 apartments in a newly renovated 1 bedroom and 2 bedroom accommodation, the renovations were completed in September 2015 and although we are in the first line of the beach and in the center of the avenue from the beaches, in our common areas and our pools you will get rest and privacy because they are outside the movement of the avenue, as an oasis of tranquility for your vacation. Our apartments are well equipped, you will find in them everything you need for your comfort, living room, satellite TV, fully equipped kitchen with kettle, toaster, microwave, refrigerator, electric stove with two burners, crockery, etc, bathroom with shower and hair dryer and terrace or balcony equipped with tables and chairs. Our pools for adults and children are not heated but you can use the next door pools (Fayna Apartments) so they are heated most of the periods when is needed. Also the pools have hammocks for comfortable rest, as you can see in our gallery, both pools are in the center of our property viewed from the terraces and balconies of all our apartments. We invite you to book on our website, here you will get the best price and happy to see you on your next vacation in Lanzarote. De ligging is prima. Het complex moet beter onderhouden worden. Receptie okay,vriendelijk en behulpzaam.